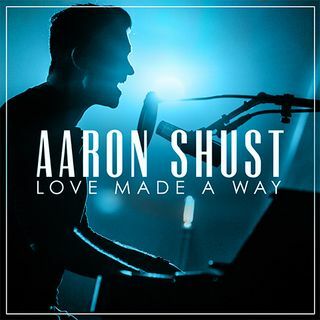 Aaron Shust has achieved another first. It is his eighth album overall. His label, Centricity Music, wanted the live recordings. However, with his background as a worship leader, live performances are his favorite part of the music process. Cameras were used to capture the making of the “Love Made a Way” CD. That in itself was daunting, Shust said, because he saw his facial expressions live. He also had just lost his voice the weekend before, but overcame that challenge. The album was recorded in The Tracking Room, a Nashville icon located close to Music Row and where One Sonic Society filmed a black and white video. To differentiate the Shust recordings, his crew set up the stage on the opposite end of the room. Some of the songs are new, while others are Shust classics. “You Redeem” was the first single off the album. More information is at aaronshust.com.